We're proud to be hosted for the first time by Delivery Hero with food and drinks! We still have one slot open for a talk, so reach out and go home with that awesome Kotlin t-shirt provided by JetBrains! Are you organizing Informal get-together of Kotlin developers in Berlin? 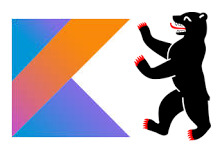 Are you an organizer of Informal get-together of Kotlin developers in Berlin ?